A sketch of the Eastern cougar. The Eastern cougar is gone. The large cat, a subspecies of puma, was officially declared extinct Monday and removed from the endangered species list by the U.S. Fish and Wildlife Service. The agency said there has been no evidence detected of either breeding pairs or single cougars since the last confirmed sighting in 1938. The agency said it was unlikely the cat could remain undetected. The Eastern cougar is also known as the ghost cat, catamount, puma, painter, panther, and mountain lion. The cougars once lived in every eastern state and could be found in coastal marshes, mountains, and forests. 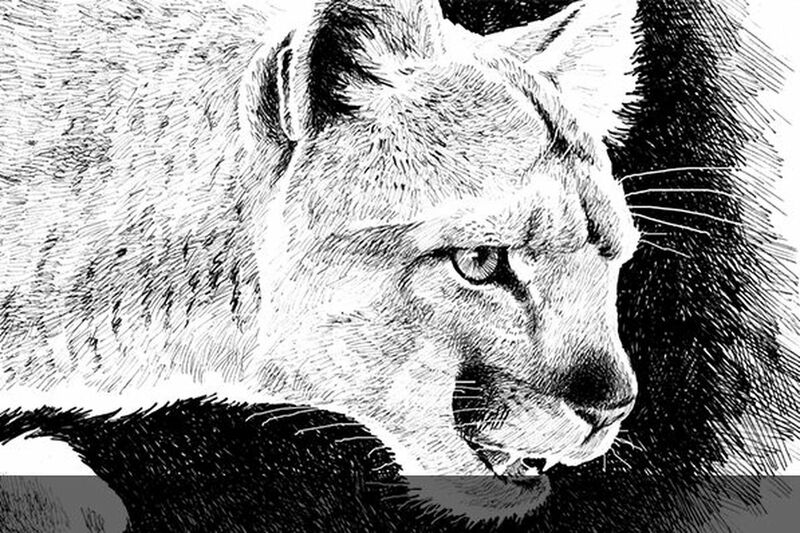 Only western cougars and Florida panthers, which both have been eliminated from two-thirds of their original range, are still able to maintain breeding populations, according to the Fish and Wildlife Service. Though the feline is nonexistent, that has not stopped people from reporting sightings. In 2016, a grainy photo from a hunter's game camera in Winslow Township, Camden County, turned out to be a housecat. In October, Scott Madaus of Memphis TV station Fox 13 gained national attention for his reporting of an alleged large cat sighting in Hernando, Miss. But he was upstaged when the camera zoomed in on an animal some distance behind him that clearly was a house cat.